ZAO / standardarchitecture is a chinese design firm engaged in practices of planning, architecture, landscape, and product design. founded by zhang ke in 2001, the studio has emerged as one of the most critical and realistic studios among the emerging generation of young chinese architects and designers. 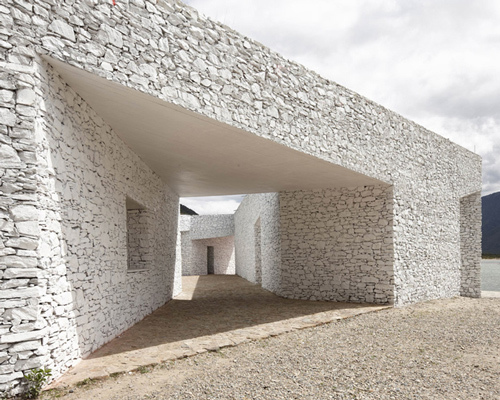 zhaoyang architects is a architecture practice based in the chinese province of yunnan. the studio is led by architect yang zhao, who in 2012 was selected as the inaugural architectural protégé of the acclaimed rolex mentor and protégé arts initiative. under the direction of his mentor kazuyo sejima, zhao designed home-for-all in kesennuma to help victims of the tohoku earthquake and tsunami in japan. 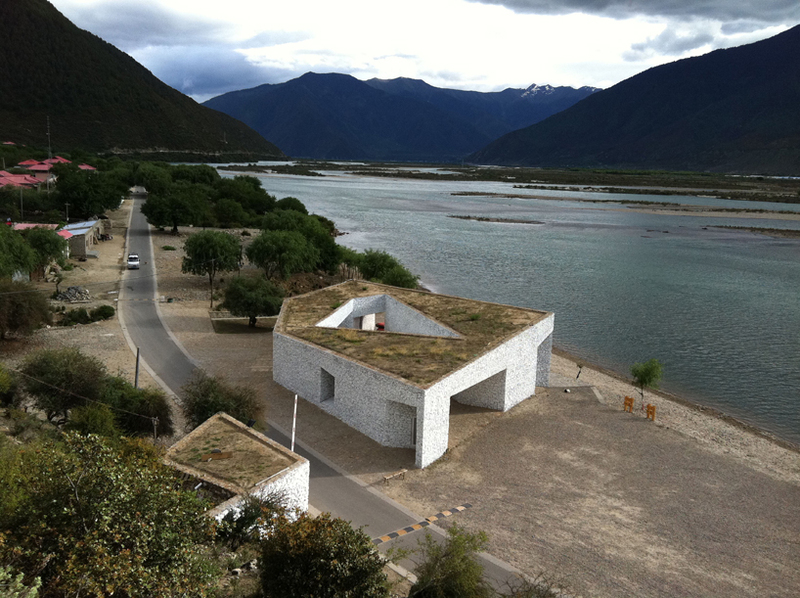 the ‘niyang river visitor center’ just received the international award – ‘architecture in stone 2011’ from the 46th edition of marmomacc. beijing-based practice standardarchitecture explained their ‘niyang river visitor center’ project to designboom (in a studio visit a week ago). it is located along mirui road in linzhi, tibet, positioned within the brahmaptra canyon and adjacent to the niyang river. the monolithic external form is carefully carved to respond to the surrounding landscape conditions. four irregular openings lead to an open-air courtyard which connects and circulates visitors through the building. constructed from local stone, the remaining three enclosed volumes are accessed from the central space which host the ticket office, dressing room for water rafting and restrooms. the project was completed alongside architect zhao yang. influenced by the tibetan vernacular tradition, the structure is comprised of a 600 mm thick load-bearing wall which rests upon a concrete foundation. flanking each opening, a 400 mm partition increases stability by acting as a buttress. stacked stone beams with long spans are reinforced from inside with a bundle of logs. a thick layer of aga clay serves as a waterproofed and heat insulated barrier. before the workable substance hardens, gutters are shaped to drain the roof. this building was initially pigmented with a bold palette of colors but the architects have informed us that the walls have since been painted white. this article presents the structure in its current state.